OKUKAN is a school of Shitoryu Karate-Do. Originally founded in Brisbane at the incredible Brisbane Powerhouse by founder Sensei Sandra, OKUKAN is now located in Melbourne, where Sensei Sandra teaches all karate classes. We hope that every Black Belt representing our karate school is able to show the qualities of a true warrior: to endeavour to develop a sense of courage and ‘awareness’ with complete honesty and respect for others, both on and off the tatami. Australian Karate Federation (AKF). “The Australian Karate Federation Inc. is a member of the World Karate Federation (WKF) and this links them to 170 countries worldwide. Karate as such is one of the ten largest sports in the world.” This relationship provides our students access to Junior/Cadet and Senior World Championships. The president of AKF is a Shitoryu member. Shitoryu Karatedo Australia, and the World Shitoryu Karate Federation (WSKF). Established in 1934, Shitoryu has become known to the world through activities organised by Japan Shito-Ryu Karate-Do Kai and All Japan Karate-Do Federation Shito-Kai. In 1993, World Shito-Ryu Karate-Do Federation was established. Asian-Pacific (see www.apskf.com) and other regions are affiliated to this organisation (www.worldshitoryu.com). Instruction operates within the rules, spirit and integrity of Shitoryu Karate-Do. At OKUKAN, we endeavour to assess each student’s performance objectively and individually, encouraging fair participation, helping each student reach their potential. Learning activities designed in our school promote a social environment were members of our community are treated with courtesy and care, regardless of gender, ability, cultural background or religion, including students, parents, guests, and staff members. At OKUKAN, we promote learning over competitive sport, but there are plenty of opportunities available to students hoping to compete. Sensei Sandra is a former “elite athlete”. ‘Sports karate’ is the label given to the type of karate that is practiced for participation at karate tournaments. It is often technically different from non-competitive karate. Techniques are aimed at demonstrating good form and a knowledge of the purpose of movements. Non-competitive karate is instead considered a form of self-defence and self-development, and not a demonstration. 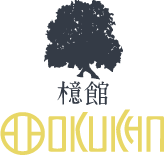 At OKUKAN, tournaments are seen to be a positive activity for children, teens and adults -not for the thrill of winning, but for the opportunity to share and learn from others. If you are interested in tournaments, you will be carefully guided through the sports karate journey. Shitoryu is worldwide one of the strongest styles when it comes to tournaments and OKUKAN’s head instructor is an experienced competitor. Decisions and actions at OKUKAN contribute to a safe environment, placing great importance on the safety of students. Sensei Sandra holds a Working with Children Check and understands First Aid principles. We make an effort to ensure free sparring is only practiced while wearing protective gear. First and foremost: Seek perfection of character. First and foremost: Be loyal. First and foremost: Endeavour to excel. First and foremost: Respect others. First and foremost: Refrain from violent behaviour. Determination. Never forget the spirit of first beginning. Morality. Never neglect courtesy and etiquette. Common sense. Never lose common sense. Membership is a once-off fee and helps cover our affiliations, ensuring that the karate style you practice (Shitoryu) is maintained and delivered genuinely. Athletes’ development is progressively assessed during training. As with most modern martial arts, our school has a grading system to symbolise stages of learning. To be a part of the formal grading system in our karate school, you will need to become an OKUKAN member. This membership also ensures that your grading is acknowledged internationally.